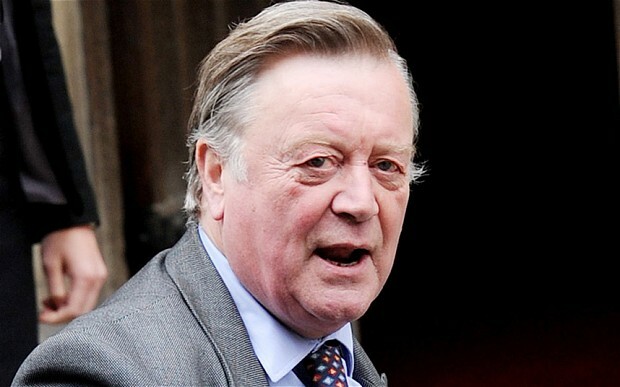 Ken Clarke, as he is prone to doing, has let slip a morsel of information regarding the Government’s thinking on how to approach the 2014 EU crime and policing block opt-out, which, according to Theresa May last year, the Government is ‘minded’ to exercise. Speaking to BBC Radio 4’s Today Programme, Clarke said that ministers will “opt back into” around 30 “essential” EU measures that will impact the UK’s justice system following a block opt out. We should note that Clarke was later slapped down by a senior Liberal Democrat source, who accused him of “getting ahead of himself.” There are ongoing negotiations between the Government and the European Commission about potential opt-ins or other arrangements. This is going to continue to be a political hot potato for the Government, given that the major concern with opting back in to these measures is not necessarily the law itself (although in the case of an unreformed European Arrest Warrant it is) but the prospect of the ECJ gaining full jurisdiction over them – something that will continue to be deeply unpopular among Tory MPs and could make for an interesting vote(s) in Parliament. The Telegraph write-up of the story notes another two potential flash points on this issue. The Commission is due to present proposals to amend Europol and Eurojust in the coming months – and the Government could be forced to either opt in, or out of these measures altogether. The Government is likely to want to opt in but, again, this is likely to be controversial, because it means removing them from the scope of the block opt-out and accepting ECJ jurisdiction. In the wider context of David Cameron’s recent speech, police and criminal justice is an obvious candidate for a re-balancing of the UK’s relationship with the EU i.e. a deal that would return the UK to an arrangement based on intergovernmental practical cooperation with EU member states rather than an EU-wide system with the Commission and the ECJ as arbiters. Reassuring his MPs that this is the eventual aim could make life less awkward (if not easier) for the Conservative part of the Coalition. The paper claims it has seen hand-written accounting books held by Álvaro Lapuerta and Luis Bárcenas, who served as treasurers of Spanish Prime Minister Mariano Rajoy's Partido Popular (PP) between 1990 and 2009. These books register donations made to the party by Spanish businesspeople. But most importantly, they seem to show that Rajoy himself and other senior members of PP were handed out sobresueldos (extra pay, bonuses) which were allegedly distributed in envelopes with cash - and therefore completely tax-free. According to the paper, Rajoy received sobresueldos regularly between 1997 and 2008. Such allegations had already emerged earlier this year, and an internal investigation is currently under way. However, the documents published today could be the first concrete evidence of what may, if confirmed, trigger a big scandal in Spanish politics. The names in the books include not just Rajoy, but also, for example, Rodrigo Rato (former Finance Minister, who recently also appeared in court for the Bankia case). The Secretary General of PP, María Dolores de Cospedal (whose name is also in the secret books) has just held a press conference from the party's headquarters in Madrid's Calle de Génova - perhaps to convey the message that this is a party, not a government issue. The gist of her declarations was: the documents are false, and we will take the necessary legal action to prove it. Luis Bárcenas served as PP treasurer until July 2009. It emerged recently that he had up to €22 million deposited in various Swiss accounts. Reports in the Spanish press suggest that the money was moved from those accounts in 2009 (although to where exactly is still unclear), when Bárcenas was involved in another corruption scandal, the so-called Gürtel case. Bárcenas himself has now told Spanish prosecutors that he brought almost €11 million of that money back to Spain, through the 'tax amnesty' introduced by Rajoy's government. The opposition Socialist Party has obviously suggested that the amnesty was made precisely to cover Bárcenas and others. When the fact that Bárcenas held bank accounts in Switzerland came in the public domain, sources close to him suggested that he knew enough to put several leading figures of PP into trouble. Interestingly, though, he has moved swiftly to make clear that he does not recognise the secret books published by El País and is considering taking the paper to court. Very sensitive stuff. And rather untimely, given that Rajoy is about to meet his EU counterparts for key negotiations on the next long-term EU budget. The quicker the investigation, the better for the Spanish government and Spain as a whole. Remember our EU budget 'veto team'? Well, the next European Council summit - entirely devoted to negotiations over the 2014-2020 EU budget - is only one week away, and the sequence of veto threats may have just begun all over again. That is, a veto threat, Monti-style. This has just started, so keep following us on Twitter @OpenEurope for real-time updates. The FTT is expected to raise up to €35bn. It will apply to any share, bond or derivative issued within the participating area or "with a clear connection to a participating member state" in an attempt to restrict relocation to avoid the tax. Target introduction date of January 2014. This could ultimately result in participating governments imposing taxes within other government’s jurisdictions. This goes further than just other EU countries. It is not clear to where the revenue would flow (to the government where the trade is located or back to the FTT participants?) or how it would be enforced at a global or EU level. (This also seems to add massively to the complexity, a reduction of which is a cited benefit of the FTT). Surely, there are questions regarding how this cuts across the single market. As the press release on enhanced cooperation notes, the FTT will “respect the rights, competences and obligations of non-participating Member States” – stepping on the rights of non-participating government to determine which taxes are applied in their sovereign territory does not seem to fit this description. Some of the non-participating members could certainly be unpleasantly surprised and may well have some complaints to lodge. The new clause (to stop capital from flowing outside the FTT zone) seems to go against the key EU principle of free movement of capital in spirit, if not in law. For those involved, the tax will likely have some impact on their borrowing costs (for both governments and firms based in these countries). It will also increase the cost of instruments used to hedge against risk in these countries (certain derivatives). This may not be massive but will come at a time when it is not needed. We do not know what form the final proposal will take but, if the reports are accurate, this FTT could not only pose practical difficulties of enforcement but also cut across the single market. The FT has flagged up to us that, under latest proposal, the rules will only apply to exchange traded derivatives rather than all (over the counter) derivatives. This certainly makes the collection and policing of the tax easier and may limit any distortion on derivatives market somewhat. We'd note though that the general enforcement of the tax across borders and particularly outside the EU will remain tricky. A view from France: "Long live Europe without the UK!" Pretty strong stuff. Especially coming from a business daily, which should be more aware than others that the UK is an asset to the EU. 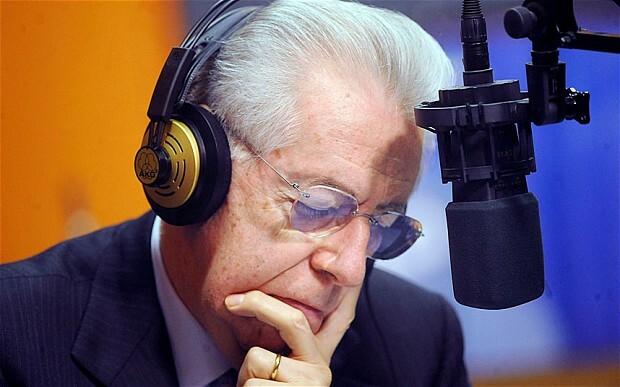 Perhaps Monsieur Vittori should have a quick look at our recent 'Right speech, right time?' briefing, in which we noted that: a UK exit from the EU would shrink the single market by 15%, with £261.4 billion in annual European exports (up from £165.25 billion in 2001) potentially facing extra costs; a €14 billion hole would open up in the EU budget; and the EU's geopolitical clout would be substantially reduced. 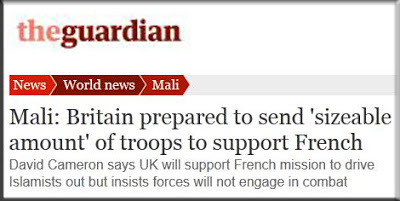 Would it really be in the best interests of France? Easing of the Basel III rules - a test case on conflicts of interest? A lot has been written over the past few weeks regarding the easing of the Basel III banking rules, which we've been meaning to cover but didn't get round to doing. The specifics and details have been well covered so instead we'll look at some of motivations behind the changes. In our view, the change provides an interesting insight into the potential conflicts between monetary policy and financial supervision – something we have discussed at length with regards to the ECB being turned into the single financial supervisor for the eurozone (see also Felix Salmon’s blog for a wider discussion of this issue). The changes, which are fairly technical and complex, focus on easing the burden of banks in creating what is known as the Liquidity Coverage Ratio (LCR). This is essentially a liquidity buffer which banks will be required to hold to ensure that they have enough cash (or cash like assets) on hand in a crisis to cover themselves for 30 days. The time frame in which the banks must have this buffer in place has now been increased by 4 years as well. Again we won’t go into the detail of whether this change undermines the attempts to make banks safer but we would highlight that many banks already meet the adjusted standards, albeit with significant support from central banks (a point we’ll expand on in second) – given the on-going banking troubles in Europe and the US this is naturally a concern. So it seems that the ultimate motivation for the move is to make it easier for central banks to remove themselves from non-standard monetary policy measures (such as QE or the LTRO) without fearing a massive drop in lending. Clearly, both these concerns fall into the realm of monetary policy, rather than supervision or regulation. Obviously, a collapse in bank lending would be bad for everyone, so the measures are tied to some notion of short term financial stability, but surely these comprehensive Basel III regulations – which will set the basis for financial regulation over the next decade or more – should be taking a much more long term view than this. There are very real concerns that in the long term this could hamper the safety of banks and their ability to withstand future crises without taxpayer help. As mentioned above, the easing of regulations may make it much easier for central banks to exit their non-standard monetary policy measures without causing market distortions. The lack of a clear exit strategy is something which we have continuously warned of within regards to greater ECB intervention and the problem still applies. Obviously, finding the best way out is important but not at the expense of a safer banking system. Furthermore, taking such substantial action, such as that seen during the crisis, should not be done lightly and altering regulations to ease the potential problems or side effects of such actions could lead to a situation where the final cost of such actions are not fully considered. It is not hard to imagine similar pressure being applied to the ECB’s monetary policy, particularly if the eurozone crisis escalates again, while easing supervision would provide an easy out rather than managing the imperfect one size fits all monetary policy. We must note that these regulations are produced by the Basel Committee and the BIS, not the ECB, so it is far from certain that the ECB will act in a similar way (although many of the central bankers involved do overlap). Additionally, the ECB will not be directly responsible for regulation but supervision, although there is substantial flexibility within this bracket and the people involved will still have a large say on regulation at the European Banking Authority (EBA). Our main point is that there will be very similar pressures and very similar powerful lobbies, which seem to have had a substantial impact here. This of particular concern for the ECB, where the Chinese walls could well prove insufficient, with the ultimate power for both supervision and monetary policy residing with the Governing Council. We would suggest the previously mostly theoretical conflict of interest between financial supervision/ regulation and monetary policy just got a little bit more real. This morning saw the start of the on-going process of repayments of the loans given by the ECB to European banks under the Long Term Refinancing Operation (LTRO) (see here for details). 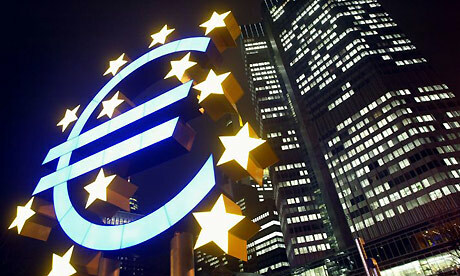 The ECB announced that 278 banks have already pledged to repay €137.2bn. This compared to the 523 banks in total that borrowed around €190bn in net liquidity from the first LTRO at the end of 2011. The amount repaid was above expectations – below we assess why this may have been and what it could mean for the eurozone. Why have banks decided to repay so much so early? - A big motivating factor is reputation. It is clear that banks which repay early can highlight that they have access to market funding at low levels and have a sustainable business model. - Although the loans seem cheap with the low ECB rate they require lots of collateral (to which haircuts are applied). This cost mounts up and some banks (particularly in northern countries) can now borrow on the markets more cheaply. ECB funding is also secured (against the aforementioned collateral) this ties up lots of banks assets, many may prefer to seek unsecured market funding, even if it is a bit more costly. - Having huge amounts of excess liquidity just parked at the ECB is not efficient or effective. It also distorts bank balance sheets and may detract from other goals such as deleveraging or recapitalisation (more on this in a minute). What does this mean, if anything, for the eurozone? - There are fears over a two-tier banking system between those stronger banks funding themselves on the market and those reliant on the ECB. We would add that this furthers the divergence in the eurozone since the split is broadly along the existing strong/weak country divides. - If the move is to aid banks in deleveraging this could perversely have a negative effect on the eurozone, with banks decreasing lending and reducing demand for euro (particularly peripheral) assets. - That said the net impact on liquidity is limited, with excess liquidity in the system still at almost €700bn. It may need a further €200bn to be removed before the impact is substantially felt in terms of borrowing costs and demand for assets in the eurozone. - There could well be a confidence boost from the higher than expected repayment. However, if this furthers a strengthening in the euro there could be growing concerns that it could begin to hamper exports in the weaker economies (a key driver of growth when both public and private sector are limited spending). This also furthers tensions within the one-size-fits-all monetary policy. So, there are some clear reasons for repaying the loans early, although what it means for the eurozone and the impact it could have is far from clear (this is partly because the actual impact of the LTRO beyond helping banks fund themselves is far from clear). One more thing: many analysts are now making a song and dance about the reduction in the size of the ECB balance sheet - seeing it as a great positive. Which it is of course. But strangely, the same people always made the point that the ECB's expanding balance sheet, really wasn't that importance. So which is it? In any case, as we said at the start, this is a rolling process and the full impact will not be clear for some time. The most important point to watch now is the location of the banks which announce that they have repaid. If it turns out to be solely northern banks, we could see some divergence emerging in the banking system, at just a time when eurozone 'bank union' plans are trying to unify it. The Director of Open Europe Berlin, Prof. Dr. Michael Wohlgemuth, has dug up this old quote, which has a great deal of relevance for where we're at today. It's taken from the third Jean Monnet Lecture delivered in Florence by Ralf Dahrendorf - in 1979 (Dahrendorf was Member of the German Parliament, Parliamentary Secretary of State at the Foreign Office of Germany, European Commissioner for External Relations and Trade, European Commissioner for Research, Science and Education, Member and life peer of the British House of Lords, director of the London School of Economics, Warden of St Antony's College at the University of Oxford and Professor of Sociology at a number of universities in Germany and the United Kingdom...). "It is emphatically not the desire of some of the founding fathers to create another superpower; to have as much decentralization as possible and only as much centralization as necessary, is a prescription for a humane society to which many, including myself, would subscribe today." "The policy of the British government is to express its commitment to the Community – which is appreciated – to assure its partners that it does not propose to break the law – which is more than can be said of some others, though it remains to be seen what exactly the British Government has in mind – and to demand a « broad balance » of contributions and benefits. It will be for politicians to try and find out how much room for manoeuvre the notion of « broad balance » allows; at first sight, it certainly does not seem unreasonable. To say that we have to start again in order to build Europe would be wrong; there is much in the acquis communautaire which is worth preserving. But what we need is more than mere adjustments and reformlets; we need a fundamental reappraisal." "I have often been struck by the prevailing view in Community circles that the worst that can happen is any movement towards what is called a Europe à la carte. This is not only somewhat odd for someone who likes to make his own choices, but also illustrates that strange puritanism, not to say masochism which underlies much of Community action: Europe has to hurt in order to be good. Any measure that does not hurt at least some members of the European Community is (in this view) probably wrong. In any case it is regarded as unthinkable that one should ever allow those members of the Community who want to go along with certain policies to do so, and those who are not interested to stay out. The European interest (it is said) is either general or it does not exist." Yesterday we brought you some instant reaction to Cameron's speech from European media and politicians. 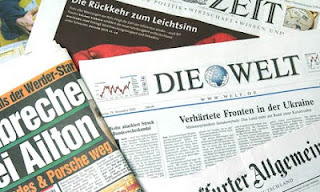 In this blog post, we round up reaction from the German press after they've had a day to digest it - a crucial barometer of how much, if any, purchase Cameron's agenda can count on in Berlin. What struck us was that the media, overall, tackled the complex issue where next for the UK in Europe, with admirable balance. Criticism tended to focus on Cameron's perceived pandering to UKIP and his own party. But equally there was also strong support for parts of his argument. "Cameron is in no way alone in his analysis of the changes that are coming for the EU, which one cannot address as being 'business as usual.' The overdue plans to stabilize the euro zone bring with them a deepening of the EU that also will have wide-reaching consequences for the countries not belonging to the euro. Those need to be not just discussed, but also most likely negotiated. It is not anti-European when the British prime minister brings these up. “It is not anti-European of Cameron to remind of the threat to the EU’s competitiveness [or] the creeping democratic deficit and the lack of public confidence in the EU and its institutions… Great Britain is approaching the EU question in a 'practical' not emotional way, Cameron says. That would do us all some good." “Since the crisis, the formula that more Europe is always good for Europeans is no longer valid. It would be good to know what ‘more Europe’ means in detail and who will be expected to bear its political and financial costs. Brussels’ almost planned economy mentality in the crisis does not inspire confidence. A blunt European debate – which is not conceivable without Britain – could lead to greater clarity… The statement currently heard in Brussels that Britain needs Europe more than Europe needs Britain is foolish and dangerous… Above all, it is in the interest of both the Germans and the French, not only to pull the British along, but to bring them to the centre of the European debate." Who said Germans don't do sarcasm...? Potentially plenty of scope for support if the UK, with partners, is able to pitch its proposals for EU-reforms in a smart way. Sir, As business leaders we are passionate about Britain’s prosperity. We agree with the Prime Minister that Britain’s best chance of success is as part of a reformed Europe. We need a new relationship with the EU, backed by democratic mandate. Business faces ever more burdens from Brussels and the single market in Europe has not yet been fully realised. The euro crisis has created the circumstances for a new EU settlement. This is the moment to push for a more flexible, competitive EU that would bring jobs and growth for all member states. That means completing the Single Market and quashing the culture of red tape. Now is our chance to reform the EU from within. The Prime Minister is right. This is a European policy that will be good for business and good for jobs in Britain. How realistic is Cameron's timetable for EU reform? As Open Europe Director Mats Persson notes over on his Telegraph blog, in his speech today, Cameron has set himself a concrete timetable, despite the fact that timetables in Europe are notoriously difficult to control. A treaty change discussion could drag on for years. Here we look at how a few examples of how slowly or quickly it takes to reach a decision in Europe. Basically, EU treaty changes or fundamental reform can take an enormous amount of time - or it can happen in months. It's all a matter of political expediency - and how bad Europe needs it / wants it. The single EU patent, for example, took 37 years to negotiate. Setting up a €440bn bailout fund took 12 hours (though it was followed by a year of bickering over what they actually had agreed). The Convention for the European Patent for the common market was signed at Luxembourg on December 15, 1975, by the 9 member states of the European Economic Community at that time. However the CPC never entered into force as it was not ratified by enough countries. It took until last December for a an agreement on the creation of a single patent system across 25 member states. In 1992, it was determined that there had been over-investment in vessels, overfishing and that numbers of fish landed were decreasing, and that reforms were needed to address these issues. Completing the reform of the Common Fisheries Policy (CFP) by the end of June 2013, in a single reading if possible, is the goal of the current Irish EU Presidency. In 1974/75 the Wilson Government sought to resolve the UK contribution question - which was the highest in net terms - during the “renegotiation” of the UK’s terms of accession which it had promised in its October 1974 election manifesto. The UK did achieve a new corrective mechanism but the revised formula (which placed more emphasis on national wealth when calculating our contribution) in practice produced no real benefit to Britain. In 1984, Margaret Thatcher secured the UK rebate in its current form. The drafting for European Constitution was initiated by a declaration annexed to the Treaty of Nice in 2001, and the draft Constitution was signed on 29 October 2004 by representatives of the then 25 member states. Following the ‘no’ votes in the French and Dutch referendums, negotiations over the Lisbon Treaty began in 2007 and the new Treaty was ratified in 2009. On October 29 2010, following pressure from German Chancellor Angela Merkel, EU prime ministers and presidents backed "a limited treaty change" to deliver tighter fiscal discipline and allow for the creation of a permanent bail-out fund for members of the eurozone. On March 25 2011, the European Council agreed to amend Article 136 of the Treaty on the Functioning of the European Union with regard to a stability mechanism for Member States whose currency is the euro. On May 9 2010, following 12 hours of talks in Brussels, EU financed ministers agreed to establish the EFSF, a temporary bailout fund composed of government-backed loan guarantees and bilateral loans worth up to €440bn provided by eurozone members. No, Europe hasn't collectively turned against Cameron (which you would think from reading headlines like these - seriously?). Though several politicians from around Europe haven't exactly come out celebrating following Cameron's speech - which doesn't help the Tories - he's getting a fair hearing amongst several commentators. “Cameron’s goals are honourable. But they only fit an EU which is conceived as a free trade zone. Euroland doesn’t function like that”. “While David Cameron dares, [Dutch Prime Minister] Mark Rutte dives...in the Dutch coalition agreement between VVD and PvdA it is stated that the national state must regain competences back from Brussels… [but] Rutte is shying away [because] he is stuck with a coalition partner which is clearly pro-European”. We would note the Dutch comments on the return of powers being part of the coalition agreement are particularly interesting. We’ll have more on that, especially with rumours in the Dutch press today that Rutte could look to launch his own "balance of competencies" review. "The EU need the UK and the other way round" and that changes to the UK position will need to be "discussed in Brussels together". The good thing about the debate about the UK's role in the EU - and Cameron's fever pitch speech - is that UK journalists are now forced to really read the foreign press. Hence, several of the news outlets are now running "Europe says nein, non, nej, nie" (guess the last two) etc. The reactions from around Europe have been mixed, with a lot of predictable, and in parts understandable, muttering about "cherry-picking." "Europe also means that one should find fair compromises...Germany and me personally wishes Great Britain to remain an important part and active member of the EU". "Not everything has to regulated in Brussels and by Brussels, but a policy of raisin-picking will not work"
“I'm a bit surprised that Great Britain wants to renegotiate the rules. 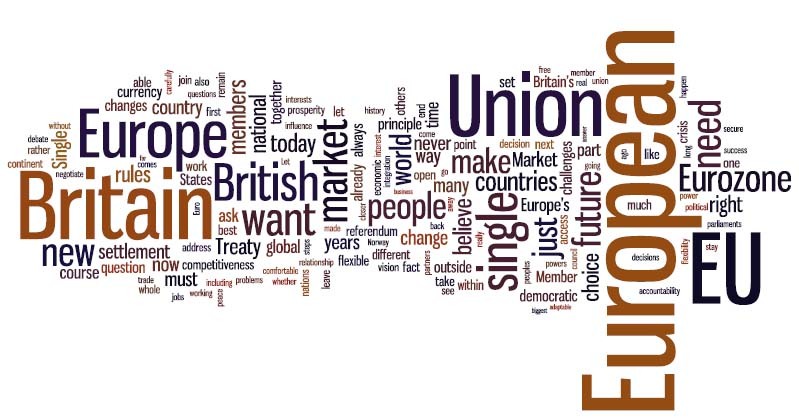 Britain is not a new member state, it did not just join the European Union. It had a say in negotiating all the rules and treaties. If we opened that Pandora's Box, all the pulling and hauling would start again and we would probably end up in the same spot." “We are also in favour of a lower budget and less intervention by Brussels [Cameron's speech] "showed that he wants to tackle this debate with an open attitude". "Cameron speech more constructive than expected. Like most of the economic principles. Disagree on deepening". Adding later, "Cameron speech clarifies things. At least we know what the Conservatives want. They want to stay in the EU. #thespeech #reluctantbride". We'll update with reactions from the Mediterranean - which, as you might expect, have been far less receptive. A brave and democratically honest strategy - but will Cameron be able to stick to his timetable? The British people will this morning be promised an In/Out referendum on Europe. In his speech, David Cameron will say that, if re-elected, he will legislate for a referendum to be held in the first half of the next Parliament (by end of 2017). He will negotiate a new deal in Europe, put it to the people, and campaign for a Yes. Think back two years, one year or even six months, and you can see just how far the debate has moved. Given how difficult a task he had, his speech ticks most of the boxes. He'll set out a plausible and powerful case for Europe-wide reform, based on five principles, correctly pointing to three main challenges: how to reconcile euro and non-euro member states to EU membership, dwindling competitiveness and popular discontent. The British electorate: His speech should appeal to the majority of the British electorate that consistently says in polls it would prefer a better, slimmed down EU – rather than a Brixit or the status quo – if that's on offer. Whether the speech will lead to a poll bounce is anyone's guess. His own party: The vast majority of Tory MPs who want a new deal in Europe, before contemplating Brixit, have got exactly what they wanted. Yes, there are those who think he said too much, others too little; those who want him to legislate for a (possibly "mandating") referendum in this Parliament. But within the constraints of the Coalition, while these discussions are important, surely they are secondary to the fact that the Prime Minister has outlined a clear course towards precisely the type of slimmed down Europe for which Conservatives have been calling for years? And Tory "outists" have got the chance to make their case in a referendum. It's intellectually and democratically honest. There will be some cynicism as to whether it'll be 1975 all over again: token renegotiation followed by a referendum. But to think that Cameron could recommend staying in on basis that "access for New Zealand butter should continue indefinitely" (which was one main "achievement" Harold Wilson presented to Parliament), is pretty implausible. He wouldn't last a day. European partners: Europeans who feared an imminent dawn raid on Brussels will be relieved. We're committed to European cooperation, Cameron will say, but the EU needs to adapt and change – become more flexible and democratic. There'll be mutterings of discontent, but for his basic pitch, he will get a fair hearing in national capitals. The more EU-wide he can make the case for reform, the better. Cameron has the great merit of actually being on the right side of the argument in pointing out the changes Europe needs to thrive. And given that virtually all of the seven broad proposals for more Eurozone integration floating around require some re-opening of EU treaties to be completed, we suspect that Cameron will get at least one good shot at it. We also suspect that European partners will play ball given that, if the British were to leave, the single market would shrink by 15%, with £261.4bn in annual European exports facing extra costs; the EU budget would be some 14bn light; and Germany, the Netherlands and Finland (who write the cheques) will be awfully alone in that Northern bloc. But, is his strategy, negotiation followed by an In/Out referendum by 2017, achievable? Cameron will not set out a specific "shopping list" of powers that he wants back - and he's right not to this far in advance. Trying to do so would only aggravate partners for little UK benefit. But, of course, Cameron's approach still contains a number of "ifs" and risks. He has set himself a concrete timetable, despite the fact that timetables in Europe are notoriously difficult to control. A Treaty change discussion could drag on for years. This is the trade-off in his speech: as insurance to his own party and the electorate he's now on a timetable, which may or may not coincide with that of the eurozone. Is he willing to recommend Out in 2017, if he doesn't get concessions? 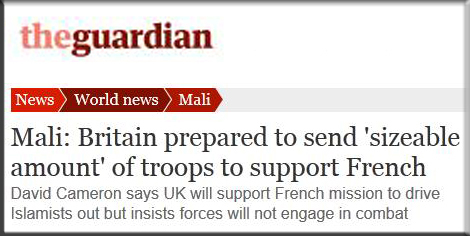 If Cameron is to pull this off it will require a major diplomatic effort, and clever positioning, but Britain has seen through far greater challenges in the past. And Europe gone through much more fundamental changes. Both will come out better on the other side.